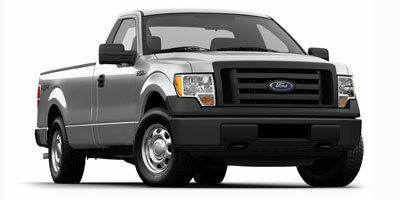 It’s getting on toward winter and the best truck deals, lease and purchase, November 2012 may not be here too long. Whether you are looking to get into a compact, mid-size or full-size truck, check out these special offers. 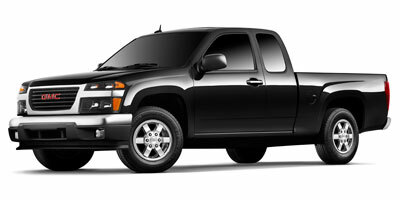 Note that deals from GMC and Ford expire January 2, 2013, while other deals have various expiration dates as indicated. As of this posting, Chevrolet and Toyota have not yet posted their lease and purchase deals. Super Crew FX4, Super Crew Lariat, Super Crew STX, Super Crew XL and Super Crew XLT: up to $2,500 cash back ($3,000 in the Southwest) or $1,000 cash and 2.9 percent financing for 36 months, 3.9 percent for 48 months, 4.9 percent for 60 months, or 6.9 percent for 72 months. 2012 GMC Sierra 1500 Hybrid, Sierra 1500 – GMC has purchase deals on the 2012 GMC Sierra 1500 Hybrid: either $3,000 cash back or zero-percent financing for 60 months. 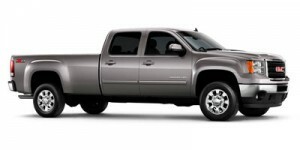 The GMC Sierra 1500 also carries cash back or zero-percent financing for 60 months as follows: $2,000 on regular cab, $3,000 on crew cab, and $3,500 on extended cab. 2012 Nissan Frontier – Nissan is offering a 39-month lease at $249 per month with $2,499 due at signing available in most regions on the Frontier King Cab SV trim with 4WD and automatic transmission. As for purchase, the deal is $1,000 cash back on S trim ($1,500 on non-S trim) plus $500 NMAC cash (when financed through NMAC), or zero-percent financing for 36 months, 0.9 percent for 60 months, or 1.9 percent for 72 months. These deals expire November 30, 2012. 2012 Nissan Titan – Purchase deals vary by region and include $5,000 cash back on Pro-4X trim (Southeast, Southwest and West), or zero-percent financing for 36 months plus $500 cash when financed through NMAC, or 0.9 percent for 60 months plus $500 NMAC cash, or 1.9 percent for 72 months plus $500 NMAC cash. In the Northeast and Northwest, excluding Pro-4X trim, the purchase deal is $3,000 cash back, or zero-percent for 36 months, or 0.9 percent for 60 months, or 1.9 percent for 72 months. On the leasing side, available in most regions, lease the Titan crew cab SV SWB trim with 4WD and SV value truck package for $499 per month for 39 months with $2,999 due at signing. All Titan deals expire November 30, 2012. 2012 Ram 1500 – Check out the Ram official site for full details, but consumers can get up to $4,000 cash allowance on various 2012 Ram 1500 models (regular cab, Sport, Tradesman, Outdoorsman, Laramie, Big Horn, ST, SLT, etc. ), or zero-percent financing for up to 60 months plus $500 cash allowance on select models, or zero-percent for up to 36 months plus $500 cash allowance on select models. Or, lease a Ram 1500 Express Quad Cab 4X2 6’4” box for $289 per month for 39 months with $2,999 due at signing.